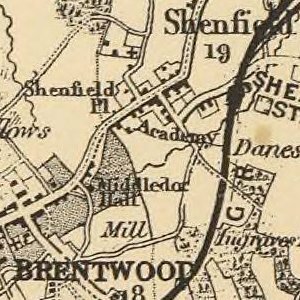 Brondesbury was originally "Brand’s manor", a small hamlet in Middlesex. 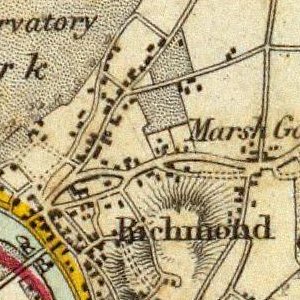 Brondesbury was an ancient hamlet in Willesden parish owned by St.Paul’s Cathedral in medieval times. 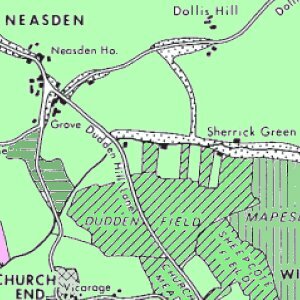 A rural area for much of its history, some houses were built on Willesden Lane only in 1847. 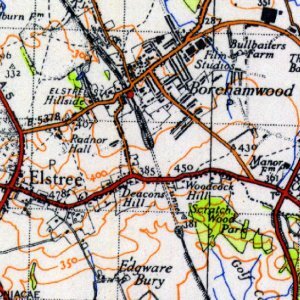 It was on a hill, which made it suitable for better quality housing and larger villas were built in Brondesbury. Several of them served as hostels for Belgian refugees during the First World War. 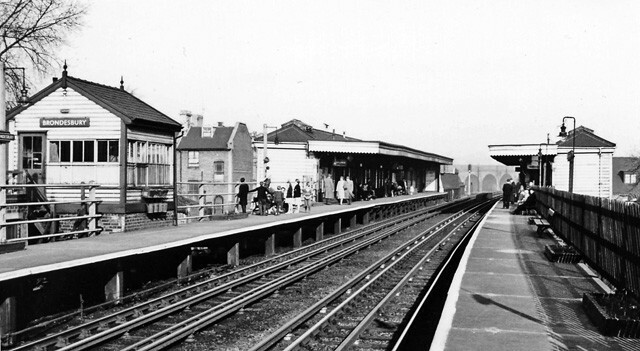 Brondesbury station opened on 2 January 1860 as Edgeware Road (Kilburn) station on the Hampstead Junction Railway. 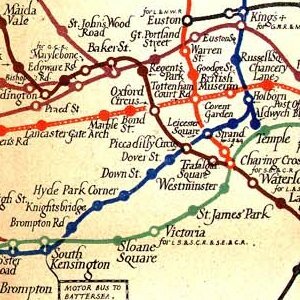 It was renamed several times: Edgware Road on 1 November 1865, Edgware Road and Brondesbury on 1 January 1872, Brondesbury (Edgware Road) on 1 January 1873 and finally Brondesbury on 1 May 1883. A mill stood in adjacent Mapesbury, which was destroyed by fire in 1863. This incident led to the creation of a volunteer fire services in Kilburn. In 1866 the parish of Christchurch, Brondesbury, was formed, the first new parish within the original parish of Willesden. 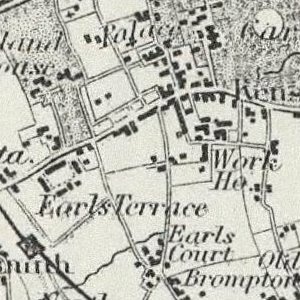 The first entirely new developments, at Brondesbury from the 1860s, took place in estates bordering main roads and served by the railway. Houses were aimed at merchants and professional men working in the City. 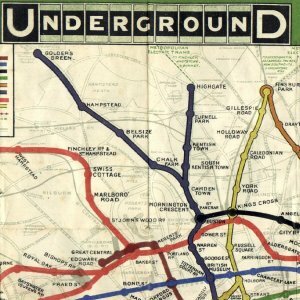 A number of plans were put forward between 1890 and 1926 to build an underground railway along the Edgware Road, and would have seen the construction of a Tube station at Brondesbury. None of the schemes succeeded and no such line was ever built. In the 1870s a wave of Jewish immigrated came to Brondesbury, both from East End and directly from Eastern Europe. 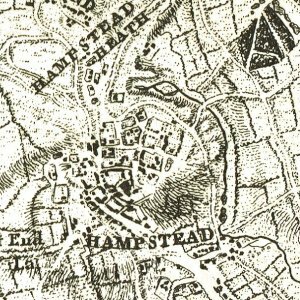 Initially the Jews in Brondesbury walked to synagogues in St.John’s Wood or Hampstead. The first temporary synagogue was built in 1902 and a permanent one in 1905. By 1914 the Synagogue had 413 male seatholders. Later the Jewish population moved to Willesden, Cricklewood, Dollis Hill and beyond. The Synagogue closed in 1974 and the building is now part of Muslim school.